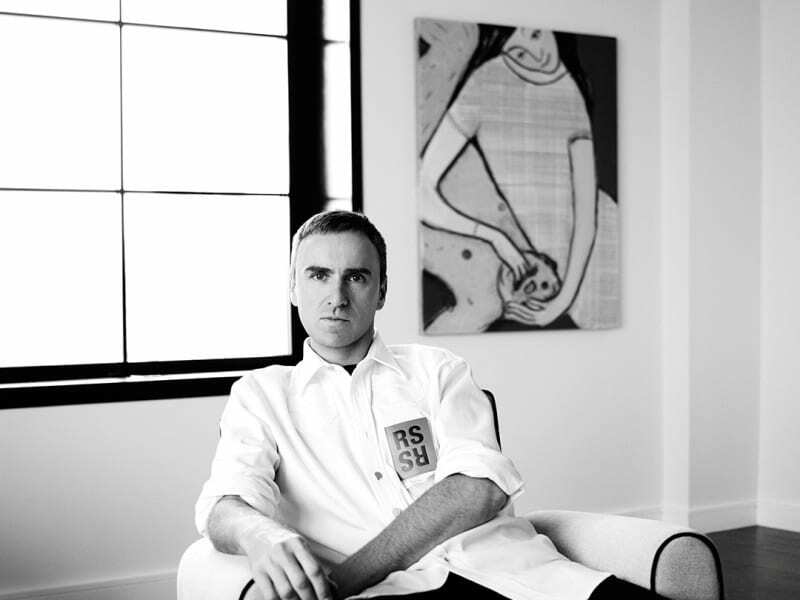 Raf Simons, the esteemed Belgian fashion designer has recently exited his position as Creative Director at Calvin Klein. During his short stint at the American superhouse, he rebranded CK’s ready to wear collections under the name ‘Calvin Klein 205W39NYC’ in an attempt to rebrand and shift their target demographic to a more progressive and contemporary ideal. Yet despite the seemingly positive changes, it appears Simons’ exit has been enforced amid looming concerns of the brand’s financial success. It appears Calvin Klein have been feeling short-changed following Simons’ extremely expensive appointment, costing the house an astronomical $18 million a year. The announcement of Simons’ departure came the Friday before Christmas and sent shocks throughout the industry, with many industry insiders feeling disappointed; this follows a string of shows that were critically well-received and revitalized the increasingly stagnant reputation of New York Fashion Week. Yet, it appears that it is Simons’ distinct aesthetic which has alienated Calvin Klein consumers. His brazen collections for Calvin Klein205W39NYC had been questioned for their commercial appeal, as the artistically elevated styles have led to a shocking $21 million dollar loss in year-on-year sales. In a press statement published by the New York Times, Calvin Klein Inc. have neatly summarised that the premature split – 8 months before the completion of Simons’ 3-year contract – has simply been a matter of requiring a ‘new brand direction’. Raf Simons’ progression in the fashion industry over the past 20 years has been nothing short of extraordinary. He had gained notable critical traction from his early work at his own eponymous menswear brand for his distinctive urban aesthetic and exploration of European subculture. His appointment as Creative Director for Jil Sander proved to be a lucrative risk well taken; Simons, alongside the likes of Lee McQueen, managed to translate his experimental attitude into pioneering designs which captured the spirit of the new millennia. Nevertheless, the strain caused by such a sense of responsibility can be seen to push the designer to near breaking point in the 2014 film Dior & I, as he works to produce his first couture collection for Dior – a partnership that was equally as short-lived as Calvin Klein, lasting only 3 and a half years. With Ralph Lauren suffering a decline in sales, and European competitors Gucci thriving after a creative overhaul, Simons’ appointment at Calvin Klein felt serendipitous. Indeed, his tenure delivered a sartorial reflection of the current political angst felt across America, as he updated the brand’s now vintage Manhattan-chic with a fusion of patriotic colours and bold Americana. The cultural relevance of his designs prompted an impressible FROW of celebrities and earned him 3 CFDA awards. Yet the disillusionment that Simons so brilliantly captured can be seen as the precursor to his own lack of an ability to connect with his desired consumer. His first campaign shot by long-time collaborator Willy Vanderperre can be seen as ironically foreshadowing: underwear models turned nonchalantly away from the camera as they observe various modern artworks. Calvin Klein will no longer feature in the coming New York Fashion Week, whilst his role remains unfilled.